View your camera online on any device, record to the cloud, broadcast your footage and more! Check out the review of Angelcam written by the ipvm.com. IPVM is the world’s leading resource on video surveillance, providing news, reviews and test results on IP cameras, VMS, NVRs, VSaaS, video analytics and more. The event is organized on three different locations worldwide, we attended three times already. 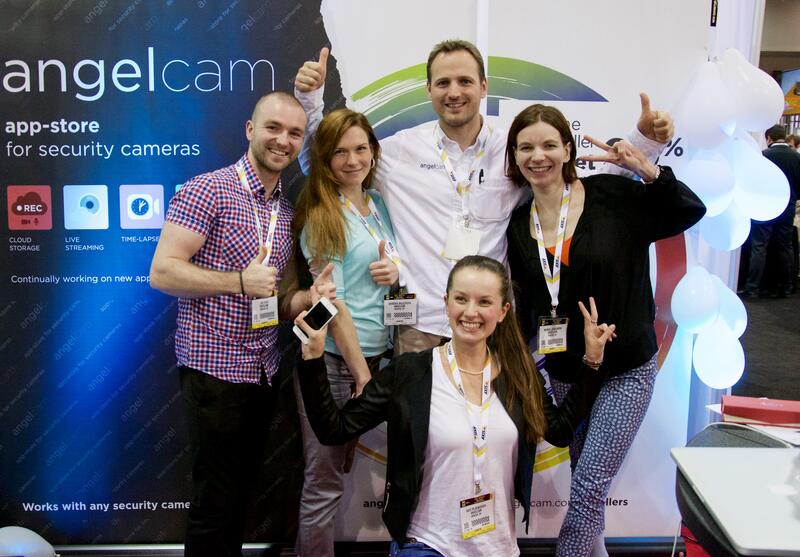 This time we had our own stand accompanied with our excited team on ISC West Las Vegas. It was simply huge. Over 1,000 exhibitors had their booth there. It seemed like all important and wanna-be-important companies were there. I visited most of the booths and my team talked to more than two hundred visitors at our booth too. Here are our thoughts. 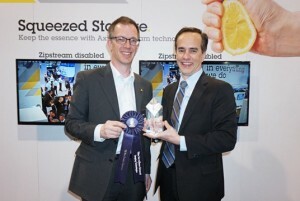 Zipstream is on the market for some time. It works with selected AXIS camera models, supports all existing solutions (inc. angelcam) and video players supporting h.264. To be mentioned Zipstream smarter bandwidth consumption works just when used with h.264 codec. 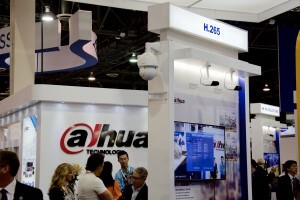 We saw tons of h.265 supported cameras at the show. When h.265 is so great why it’s still not widely adopted by the ecosystem? Crucial is the video player compatibility for web and mobile devices. It’s 2015 – Flash should be gone by now, right? 🙂 Despite that we believe in h.265 and have plans on supporting it in the near future. It’s a bit sad as we see a decent demand from our resellers and customers for more affordable cameras. People want to use different hardware and software suppliers. They want to combine them as one can be great at something where others have weaknesses. Something like that was not possible when manufacturer decided to avoid industry standards. They were basically trying to lock customer to their products. One famous example in our industry is Dropcam. We’re happy that more and more manufacturers chose the opposite way and decided to become open to other products & platforms (e.g. Mobotix is opening their cameras). 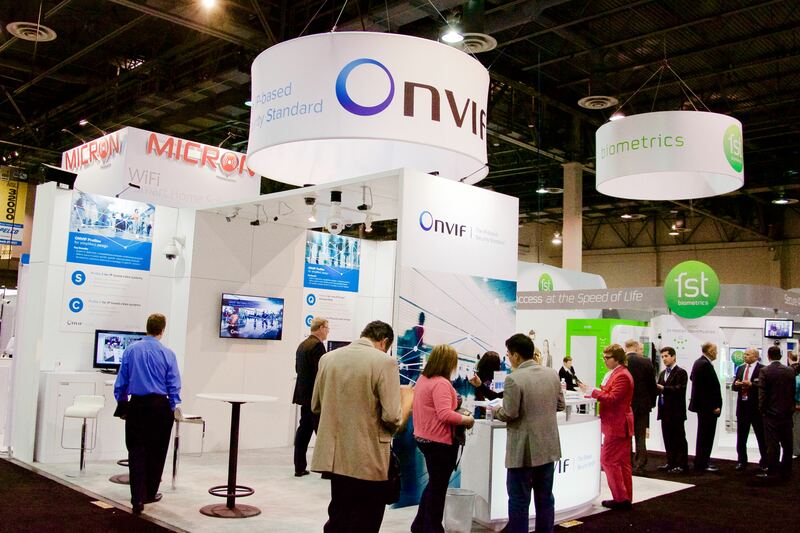 ONVIF is an industry standard that helps platforms and recording devices communicate with cameras (from technical perspective it’s just API). Zigbee is a communication standard that allows devices to communicate with each other, particularly useful for home automation. At Angelcam we are continuously looking for opportunities within these standards and machine to machine (M2M) integrations. To provide an example, one of the most requested features from our customers is turning off the video recording when specific people are present in the house/office. This requires integration between alarm system and recording device. We are currently working on a prototype for this specific use case. Stay tuned for more info soon. These were my three spotted trends from ISC West in Vegas. I would be happy to hear your observations about current trends. PS: We’re heading to one of the top computer vision conferences, CVPR in Boston. Schedule a meeting with us or subscribe for the blog updates so you get notified when we cover this story. 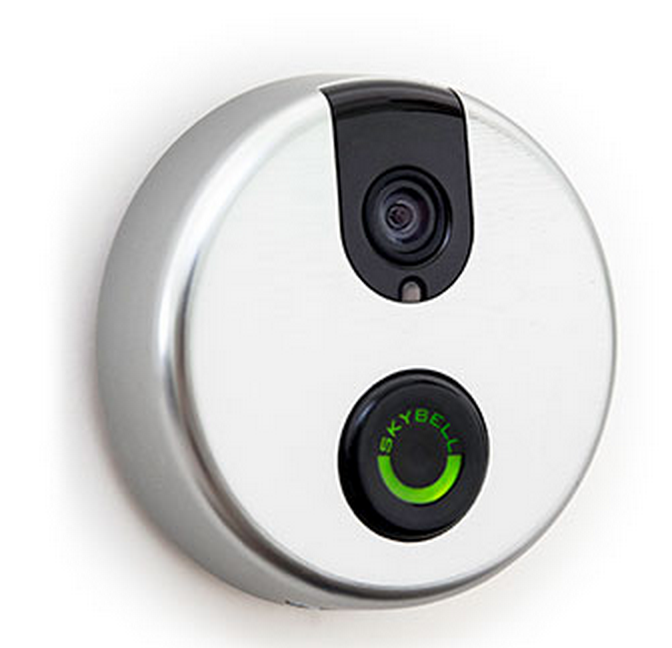 I was excited to hear that new Mobotix CEO announced they’ll finally open their cameras. 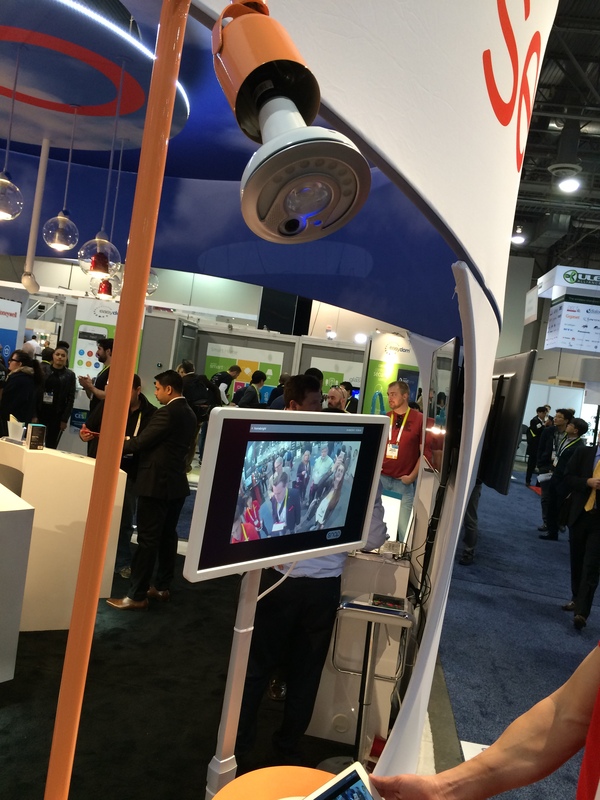 This will make Mobotix camera owners definitely happier. Today you can find their customers complaining on support forums. And few of them, the most experienced, are sharing the horrific procedures hacking the lack of industry standards h.264 & RTSP. Soon they’ll be able to use any open platform, including Angelcam, to get more value from their cameras using any application from any developer. Our company always have “openness” as one of our values. 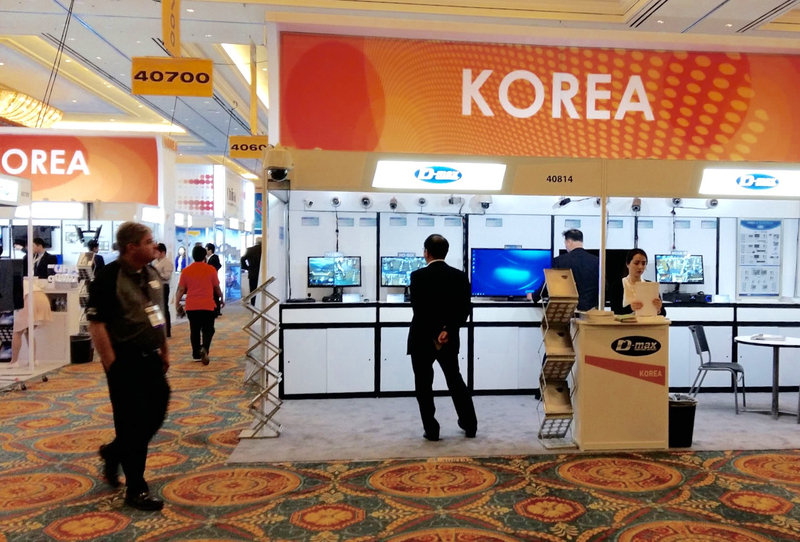 The ability to connect any hardware to any software can mean more competition for suppliers, but we strongly believe that it brings many new opportunities for them too. It’s not only about providing freedom to your customers to change the supplier anytime. Today with the world of connected devices (and APIs and platforms like IFTTT or Zapier), openness is mainly about letting users to do with their cameras much more than any closed system will ever offer. Just imagine some really useful use cases. Switching on Philips’s WiFi enabled light when camera detects movement during night hours? Switching off the video recording when you come to your office? Receiving a push notification to your smartphone, when a car with unknown car-plate number parked on your reserved parking lot? There are thousands of different use cases any company can make a use of. I’m very happy that our team is part of this huge movement. We at angelcam are all about getting more from security cameras, especially when it serves a good purpose…which is exactly what’s happening right now in India! Check out what Jaganmohan Kataru from watchlive.in does in order to make parents feel safe about their kids. Who knows, maybe the story will inspire you to do the same thing in your town! Jaganmohan’s goal is very clear. In other words, the parents are able to connect to a live stream from their kids’ school and see if everything’s OK, any time of the day. Since children’s safety is one of the Indian government’s (and people’s) top priorities, this is a great step forward. They (and you as well, should you decide to follow Jaganmohan’s example) only need 3 things to get the project up and running: an IP camera, Internet connection and angelcam. When creating something like watchlive.in, an IP camera in every classroom is crucial of course. That’s the “eye” of the whole thing, but it still needs a “brain”. And that’s where we step in with one of our apps, the Live Streaming. This article is all about inspiring you with what an IP camera can do, so let’s skip the details. After all, you can explore them later. Oh and there’s one important thing that we feel needs to be said: the streaming is, of course, completely safe and protected by each parent’s unique password, so no “unauthorized” person gets to watch it. IP cameras are indeed sophisticated devices. However, you’d be surprised by how much more they can do with such little effort from your side when enriched with the right software! Should you be interested in exploring ours, you can start right from this place or you can contact us at anytime. 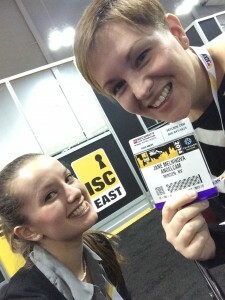 Have you heard about ISC West? What a silly question, of course you have! It’s “THE largest security industry trade show in the U.S.”, and we have no doubt about that. Our CEO Peter, partnership success director Kate, product marketing manager Monica and partnership manager Luke are all on their way to Las Vegas. Their mission: to get to know you! You might have a question or two about our existing apps. You’d like to get a sneak peek of what we’re working on – whether ourselves or in cooperation with our partners. 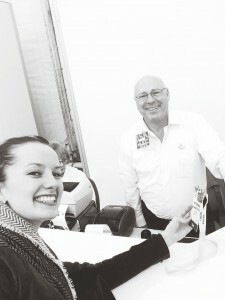 Or you feel like teaming up with us and becoming our reseller is a pretty good idea. Whatever the reason or question, look for booth 30092 to get answers. Yep, that’s where we’ll be hanging out at this year’s ISC West. Stop by, we’re looking forward to having a chat with you! Since you ended up reading our blog, you likely know a thing or two about IP cameras. Way to go! However, some of you might be new to what we call “the world’s first app-store for IP cameras”. We decided to step in and try to make it as clear as possible in a few articles. So this is the first blog post from a series where we are going to introduce our apps one by one, give you useful tips on what you can achieve with them and inspire you to explore new ways of using your IP camera. Without further ado, let’s get into it and start with the first one, the Time-Lapse! Time-lapse video from an IP camera? Really? … When we were working on our Time-Lapse app (in cooperation with our friends from 6artisans) the goal was pretty clear: come up with something that enables you to use your security camera with the same result, but with less hassle and more intuitive ways to work with the final “product”. Open-air festivals. A time-lapse video from a 3-day summer festival looks just great! Construction sites. Time-lapse is a cool way to document the entire building process. Summer resorts. It turns out that many resort owners have gotten to like time-lapse videos to show how lively their place is during peak season. As we said at the beginning, this is the first blog post from the series that has just started. In the upcoming weeks you are going to find out how one of the most prestigious Czech universities used Time-Lapse to document an event, what you should bear in mind when setting up a new recording, and we’ll also share some time-lapse best practices with you. 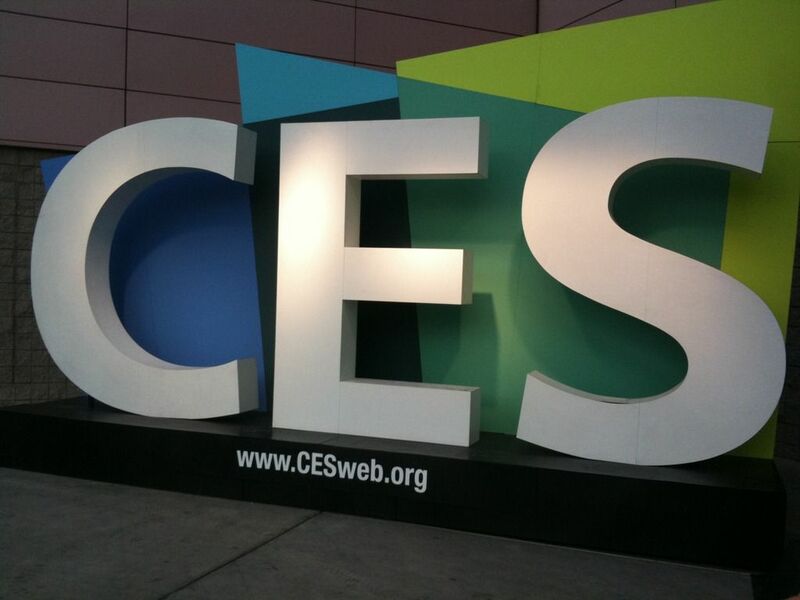 CES (Consumer Electronics Show) is one of the world’s biggest gathering of consumer technology innovators. And when I say one of the biggest, I mean it’s really, really huge! 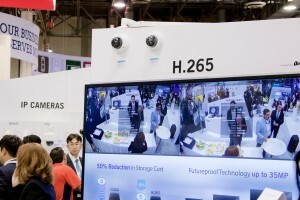 As CES is very focused on consumers, big players like Axis, Dahua, Hikvision or Tyco skipped the show completely, and others like Foscam, D-Link & ICRealtech/ICRealtime were just introducing home cameras and having private meetings. To be honest, nothing interesting happened at CES in terms of hardware. But I found these 3 highlights you might find interesting as well. 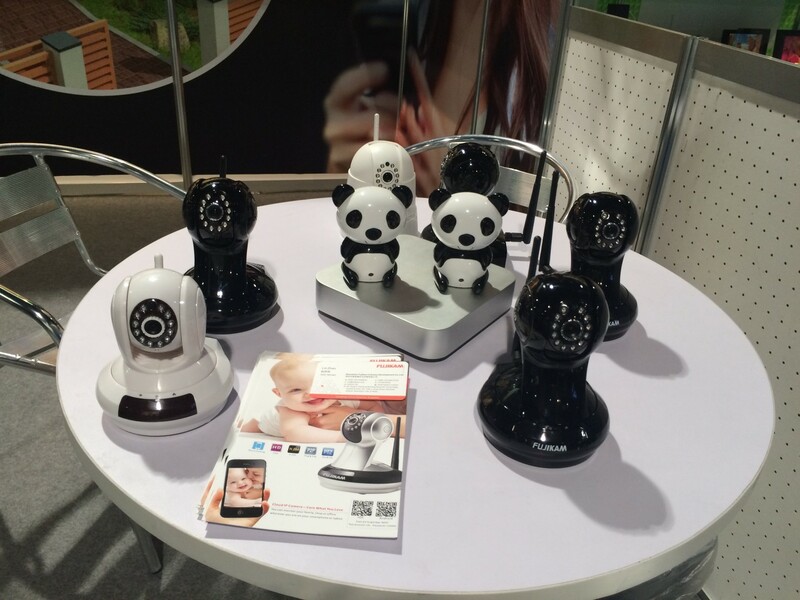 1) Sengled – now releasing smart lighting with IP camera including smartphone surveillance app with face recognition. 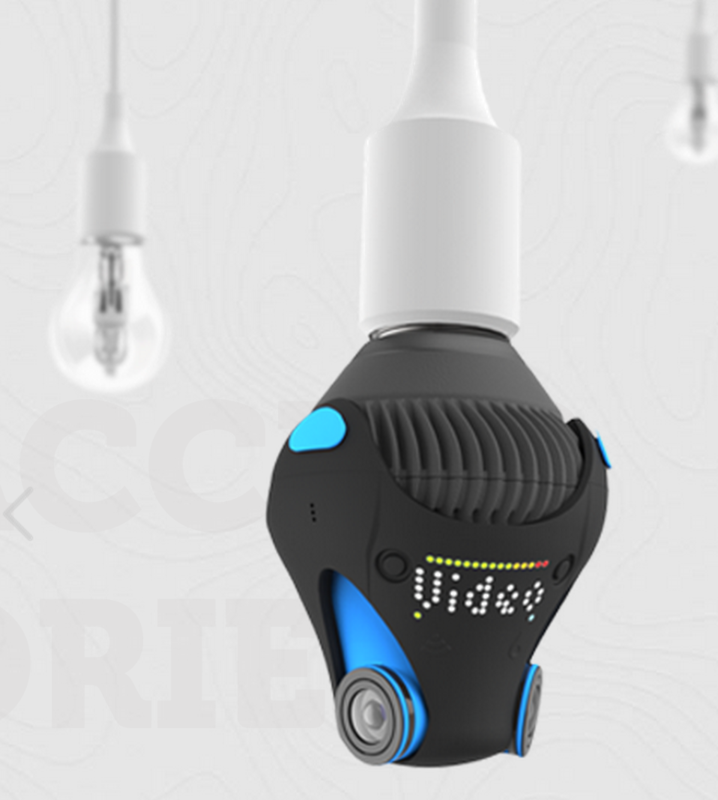 2) Giroptic – 360° wifi camera with sd card for outdoor fun as well as home security when you replace your light bulb with it. 3) Skybell – quite a few of such doorbells made their appearance at CES, this one was the most interesting piece. Pretty handy for the delivery and for just checking up on your home or your office frontdoor. I was quite surprised when I entered the Asian Pavilion and started talking to Shenzhen manufacturers. Almost half of them said they had just launched their P2P (peer-to-peer) with their own servers in US, Europe & China! Yet they hadn’t connected all of their camera types. They have started with cameras that are intended to be used for homes, so we will see if they can scale it. None of these manufacturers have their own cloud storage yet, but some of them said it was going to change in the next 1 – 3 years. This movement may also be caused by the fact that Chinese manufacturers are “not just camera cases & chips assemblers” any more, they started founding their own development departments. The way I see it, this is one big step towards cloud becoming the new standard in the near future. Just to name a few Asian exhibitors with P2P: Foscam & Fostar (btw. they are the same company), Tenvis, Wansview, Z-ben, Sopooda, CSST DIT & 10 others. Well, that’s pretty much it! 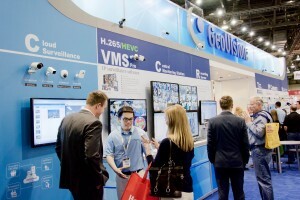 Looking forward to bringing you more news from other upcoming events like ISC West, IFSEC and others. We wish you a happy holidays! We know you must be busy with Christmas shopping these days, so let’s go straight to the point. Honestly, we were really tempted to create something original. You know, some animated, maybe even interactive! A Christmas card on its own domain. All shiny and worth sharing, just like last year! But then we thought: hey, what if we devote that time to working on our apps? Wouldn’t it be more useful for everyone? We believe it was, over the next few weeks we’ll be launching three new apps! Time-lapse, cloud recording and one more. However, we believe your 2014 has been at least as great as ours. Thank you for being with us, and let’s make 2015 even better! Were you around when we founded Click2stream? If so, you might remember it all started with just one thing: the Live Streaming app. Things have changed since then, and we are now running what we call the world’s first open appstore for security cameras. One of the first smart applications you can try is Cloud Recording, which many of you were asking for. The app comes with a little surprise – unlike anyone else in the world, we decided to let you record 3 days worth of footage for free. Try the Cloud Recording app now! Click2stream was an amazing brand, tied closely to our very first app. But as we decided to help people make use of their network cameras in many different ways, we are changing our name to angelcam. The second reason is much more poetic! In some cultures angels are told to be magical creatures. And, with all due respect to magic, we would like to be known for bringing it to small and medium businesses all around the world. Also, our platform and all apps run in cloud. And guess where angels live? Last but not least, the new name reflects our values. Developing apps for video analysis is one powerful thing, especially if taken advantage of. We believe in certain values that would never allow us to develop apps that would harm someone or someone’s privacy. Angels wouldn’t do such thing either! This is an exciting moment for us, so we could be talking about this whole rebranding thing for hours, but you know what? Check it out for yourself at www.angelcam.com and let us know what you think about our new name! Or shoot shut me an e-mail: peter@angelcam.com. We will be at the British Machine Vision Conference – one of the major international conferences on computer vision and related areas organized by the British Machine Vision Association (BMVA). To meet us there, e-mail Adam (adam@angelcam.com, @adamherout). Adam will be presenting research results related to traffic understanding titled “Automatic Camera Calibration for Traffic Understanding” – a soon-to-appear app available to our customers. Cell Beat on Did you know you can use your smartphone as a wireless security camera? sewaruangkantor on Get Your Build Site Off The Ground And Into The Cloud!